Another contender might be ready to tee off on Apple’s $329 iPad, and no, we’re not talking about Chromebook tablets again. Microsoft plans to release a $400 Surface tablet, Bloomberg reports, possibly as early as this fall. The cheapest Surface Pro model available today costs twice as much, and every other configuration sells for $1,000 and up. 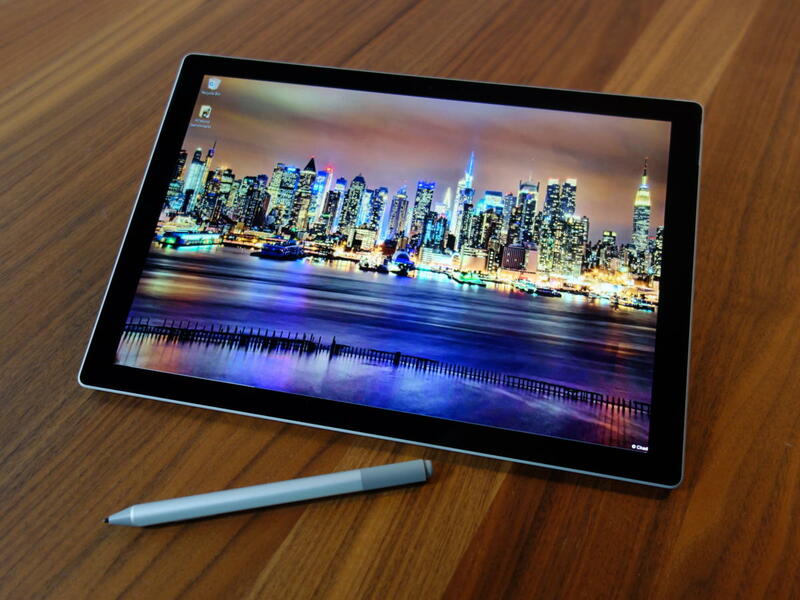 The $400 tablet will shrink the Surface’s screen size from 12.3-inches down to 10-inches, Bloomberg says. We’d expect a $400 Surface tablet to offer a more modest resolution than the luscious 2,736x1,824 (267 PPI) display found on the pricier Pro models. The low-cost tablet will ditch the Pro’s stark, hard edges for rounded corners, the report claims, as well as introduce USB-C to the Surface lineup in place of Microsoft’s proprietary charge port. Microsoft is reportedly working on cheaper Surface accessories (including a keyboard and stylus) to complement the tablet, which will still include a kickstand. Both 64GB and 128GB variants will reportedly be available, as well as an LTE option. The device will weigh 20 percent less than current Surface Pro hardware, Bloomberg says, but run for four fewer hours. While you might expect a low-cost tablet to include Qualcomm processors, especially with Microsoft pushing to make Windows on ARM a thing again, the publication hears that the $400 Surface will ship with Intel chips inside. That’s a big difference from the first affordable Surface tablet. The ARM-powered Surface RT launched alongside the original Surface Pro, but its mobile processor limited the device to running apps from the Microsoft Store alone. Nobody wanted that, and both Surface RT and the limited Windows RT operating system died a quick death. What’s old is new again: In 2016, Microsoft released yet another version of Windows 10 restricted to apps from the Microsoft Store alone, dubbed Windows 10 S. The locked-down operating system was originally intended for schools, but earlier this year, the company revealed that Windows 10 S will become a “mode” in all versions of Windows in 2019. Bloomberg says the tablet will run Windows 10 Pro like its more expensive siblings. If this rumored $400 Surface indeed exists, there’s a decent chance it’s as a toehold for slipping Microsoft services into educational markets, battling the threat of the aforementioned iPad and Chromebook tablets. That would make it likely to run Windows 10 S, which can be upgraded to Windows 10 Pro, or with Windows 10 Pro in S mode if the operating system activates the functionality before Microsoft releases the tablet itself. Talk Surface rumors with a grain of salt, though. While Bloomberg’s reporting has a solid track record, an oft-leaked Surface Mini tablet was expected to launch alongside the Surface Pro 3 in 2014 before becoming a surprising no-show. Later, hardware chief Panos Panay confirmed that Microsoft killed the Surface Mini—at the last second, by many accounts.